Orlistat Side Effects – Should I Be Concerned? Orlistat, which is more commonly known by its over the counter name of Alli or its prescription name of Xenical, is a weight loss product designed to prevent the body from absorbing fat. Holding the distinction of being FDA approved, a stretch for weight loss supplements, does not mean that the product is completely safe and without side effects. Unfortunately, orlistat side effects can range from mild discomfort to downright embarrassment. Determining which side effects you need to be concerned about will help you understand if these products are right for you if you’re not taking them and whether or not you should be worried if you are taking them. One of the, um, less appealing Alli side effects is oily spotting in the underwear. This might seem like a small price to pay for a svelte figure, but it sure can put a hamper on date night. Additionally, you might experience increased flatulence. Both of these side effects, although not serious, can put a real wrench in your social life. Nobody wants to be the smelly girl with gas and questionable undergarments at the party. Urgent bowel movements are common orlistat side effects, so the combination of these digestive issues should you be unfortunate enough to obtain all of them can make taking these products hazardous to your Friday nights. But is Alli safe? Even if you can see past what is going on in your digestive tract, are these products safe to take? Well, all drugs can affect your body in different ways. Some people have experienced liver problems and even liver failure while taking this medication. You should be concerned about any symptoms of liver problems that arise as orlistat side effects while taking these medications including Jaundice, dark urine, abdominal pain in the upper right portion of the abdomen, symptoms of kidney stones and pink or bloody urine. These should be treated as serious symptoms and you should see your health care provider immediately. Many people wonder if there is a difference in side effects in Xenical vs. Alli. Xenical has been associated with kidney problems, a claim that wasn’t readily prevalent with regards Alli. In addition, Xenical is a larger dose than the over the counter, thus making Alli side effects and Xenical side effects a bit harder to compare as one is much more active ingredient than the other. It’s important to discuss and all medication you are taking with your doctor, even if over the counter. If you experience orlistat side effects that you are not comfortable with, tell your health care provider immediately. 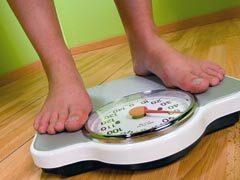 Remember that balancing any weight loss medication you are taking with a low fat, reduced calorie diet, supplemented with exercise is the only true way to lose weight. Orlistat is not the end all to being overweight, it’s simply another weapon in your arsenal, if you choose to use it. Xenical vs Alli Ingredients Compared!